Brandon Hartley talks about his journey with Optimus Prosthetics. Jason Dickerson talks about his journey with Optimus Prosthetics. Don Shingledecker shows his progress working in physical therapy after his above the knee amputation. Ralph Steward talks about his journey with Optimus Prosthetics. Rex Vogler talks about his journey with Optimus Prosthetics. Bryan Fisher talks about his experience working with Optimus Prosthetics. Michael Thurman talks about his experiences working with Optimus Prosthetics. Vernice speaks to patient advocate, Lyndsey WIlcox, about her experience with Optimus Prosthetics. Dino Lama discusses his amputations with Patient Advocate Lyndsey. Cory Hardin speaks with owner John Brandt about how he came to work with Optimus Prosthetics. Grace Norman is 17 years old, and has a transtibial amputation. Grace enjoys running cross country and playing soccer and basketball and is currently on a High School Track & Field team competing in the 400m/800m/1600m runs. Grace wears her prosthesis for normal daily activities as well as for her athletic demands. 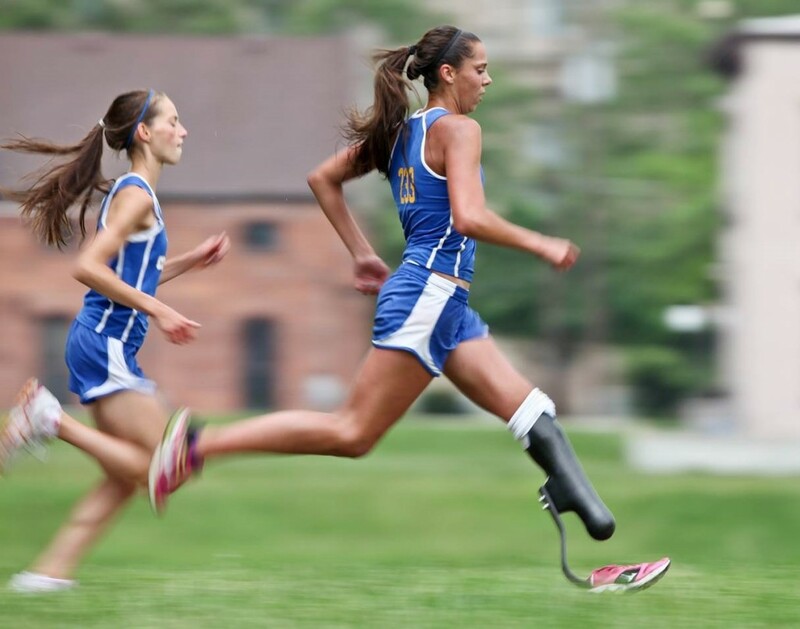 In 2012, Grace became one of just a few high school athletes competing on a Flex Foot Cheetah, the J-shaped carbon fiber foot worn by Paralympic athletes.